There flowed from his side water and blood. 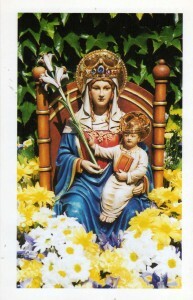 Beloved, do not pass over his mystery without thought; it has yet another hidden meaning, which I will explain to you. 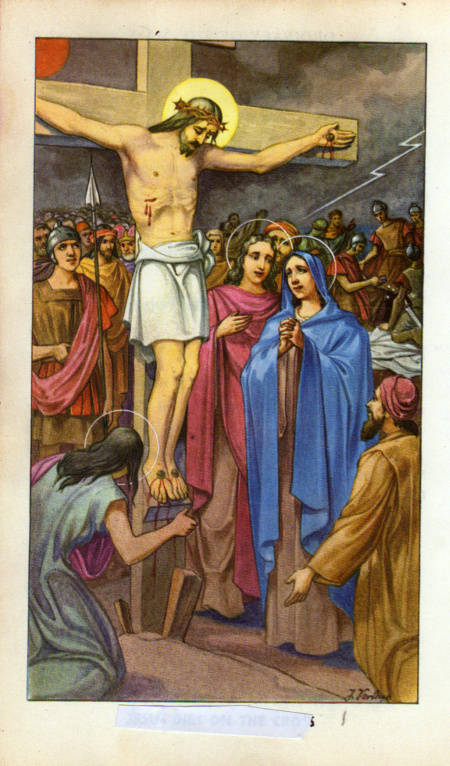 I said that water and blood symbolized baptism and the holy eucharist. From these two Sacraments the Church is born: from baptism, the cleansing water that gives rebirth and renewal through the Holy Spirit, and from the holy eucharist. Since the symbols of baptism and the eucharist flowed from his side, it was from his side that Christ fashioned the Church, as he had fashioned Eve from the side of Adam. Moses gives a hint of this when he tells the story of the first man and makes him exclaim: Bone from my bones and flesh from my flesh! As God then took a rib from Adam’s side to fashion a woman, so Christ has given us blood and water from his side to fashion the Church. God took the rib when Adam was in a deep sleep, and in the same way Christ gave us the blood the water after his own death. For the sake of suffering humanity he came down from heaven, to earth, clothed himself in that humanity in the Virgin’s womb, and was born a man. 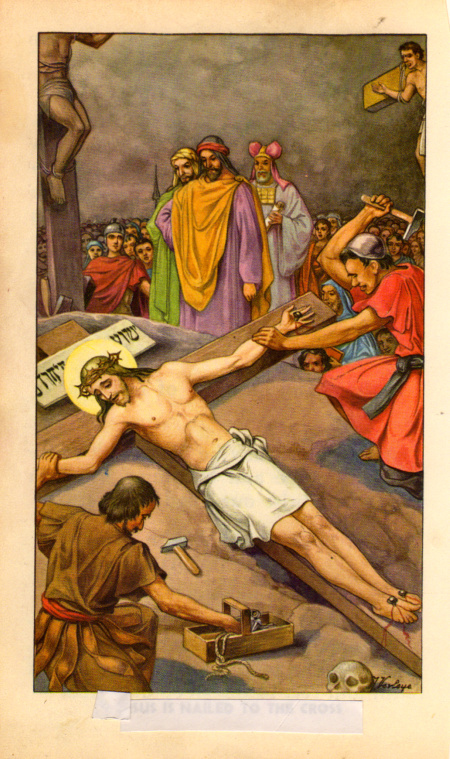 Having then a body capable of suffering, he took the pain of fallen man upon himself; he triumphed over the diseases of soul and body that were its cause, and by his Spirit, which was incapable of dying, he dealt man’s destroyer, death, a fatal blow. It is he who made man of the Virgin, he who was hung on the tree; it is he who was buried in the earth, raised from the dead, and taken up to the heights of heaven. He is the mute lamb, the slain lamb, the lamb born of Mary, the fair ewe. He was seized from the flock, dragged off to be slaughtered, sacrificed in the evening, and his body knew no decay. He is the One who rose from the dead, and who raised man from the depths of the tomb. The darkest moments in Israel’s long history frequently became the revelation of God’s power to save. From the depths of the Egyptian enslavement Moses was summoned into the presence of the Lord. On Mount Sinai he glimpsed the majesty of God’s glory, his compassion and his power to save. The Transfiguration of Jesus stands at the heart of the gospels as a continuation of this same tradition. It speaks to believers in every generation, and especially to those moments, experienced by all, when the darkness threatens to overwhelm. 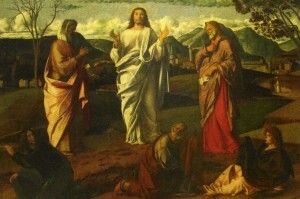 The context of the transfiguration, within the developing faith of the apostles, was crucial. They have been with Jesus for some time. 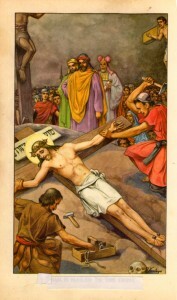 He had brought them to commitment, voiced in Peter’s confession of Jesus as the Christ, the Son of the Living God. Jesus had acknowledged their faith with the warning that theirs was to be a discipleship that must share in his suffering so as to enter into his glory. 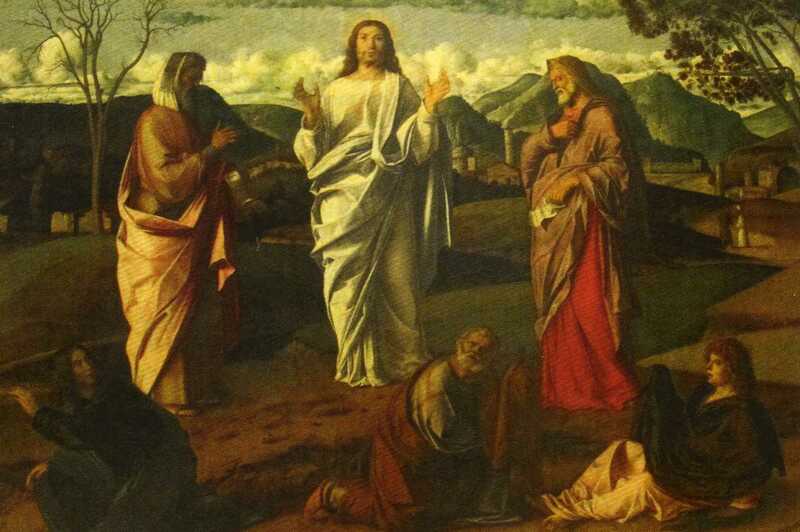 The transfiguration, therefore, demonstrated that the darkness that they would undoubtedly share, could never overcome the light that they had experienced in Jesus. For Peter that experience was overwhelming. “Lord, it is wonderful for us to be here,” The words, spoken from heaven, confirmed that our only true resting place is with Christ the Lord, with him as the beloved sons and daughters of the Father. “This is my Son. 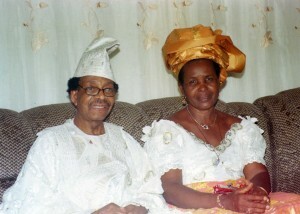 the beloved, He enjoys my favour. Listen to him”. Let us pray that the transfiguration might confirm our faith that we are indeed, in Christ, the children of God. Already we share his hidden glory, yet to be revealed in us. 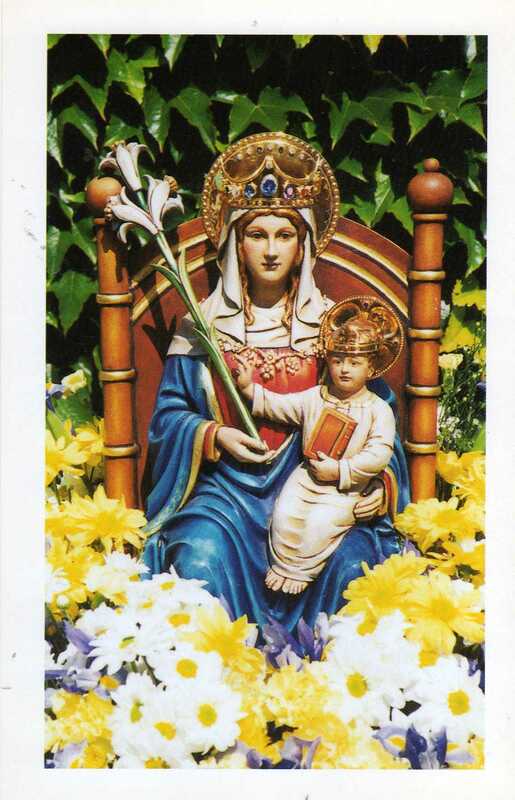 For two thousand years, the Church has been the cradle in which Mary places Jesus and entrusts him to the adoration and contemplation of all peoples. May the humility of the bride cause to shine forth still more brightly the glory and power of the Eucharist, which she celebrates and treasures in her heart. In the sign of the consecrated bread and wine, Christ Jesus risen and glorified, the light of the nations, reveals the enduring reality of the incarnation. 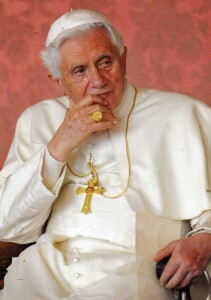 He remains living and real in our midst in order to nourish the faithful with his body and blood. Christ Jesus, I acknowledge You King of the universe. All that has been created has been made for You. Make full use of Your rights over me. I renew the promises I made in Baptism, when I renounced Satan and all his pomp and works, and I promise to live a good life and to do all in my power to procure the triumph of the rights of God and Your Church. Divine Heart of Jesus, I offer You my efforts in order to obtain that all hearts may acknowledge Your Sacred Royalty, and that thus the Kingdom of Your peace may be established throughout the universe. Amen. When in worrisome and painful moment I have nourished myself with the Word of God, my soul has felt fulfilled. And the I realized that this communion with Jesus through his Word is possible at all times. and therefore I can always be nourished on him. This experience filled me with joy. The Gospel is in fact not only a book of consolation to take refuge in and seek answer from in moment of suffering, It has something to say for every circumstance; it contains the basic laws of life. Chiara Lubich. In his wisdom and goodness the eternal Father created the whole world according to his supremely free and mysterious purpose and decreed that men should be raised up to share in the divine life. When they fell in Adam, he did not abandon them but always kept providing them with aids to salvation, in consideration of Christ, who is the image of the invisible God, the firstborn of all creation. Before the ages the Father already knew all the elect and predestined them to be made into the likeness of his Son, so that he should be the firstborn among many brothers. God resolved to gather into holy Church all who believe in Christ. The Church, foreshadowed even from the beginning of the world, so marvelously prepared in the history of the people of Israel, established in these last times and revealed by the outpouring of the Holy Spirit, will be made perfect in glory at the end of time. Then, as we read in the Fathers of the Church, all the righteous from Adam onward—from Abel, the righteous, to the last of the elect—will be gathered in the universal Church in the presence of the Father. Finally, those who have not yet received the Gospel are in their different ways related to God’s people. In the first place, there is that people which was given the covenants and the promises and from which Christ was born by human descent: the people which is by God’s choice most dear on account of the patriarchs. God never repents of his gifts or his call. God’s plan of salvation embraces those also who acknowledge the Creator. Among these are especially the Mohammedans; they profess their faith as the faith of Abraham, and with us they worship the one, merciful God who will judge men on the last day. God himself is not far from those others who seek the unknown God in darkness and shadows, for it is he who gives to all men life and inspiration and all things, and who as Savior desires all men to be saved. Eternal salvation is open to those who, through no fault of their own, do not know Christ and his Church but seek God with a sincere heart, and under the inspiration of grace try in their lives to do his will, made known to them by the dictates of their conscience. Nor does Divine Providence deny the aids necessary for salvation to those who, without blame on their part, have not yet reached an explicit belief in God, but strive to lead a good life, under the influence of God’s grace. Whatever goodness and truth is found among them is seen by the Church as a preparation for the Gospel, and as given by him who shines on all men, so that they may at last have life.